parts: Part 1 explains the principles of taxonomy, including the importance of systematics, characters, concepts of categories, and different approaches to biological classification. Part 2 outlines the different types of data used in plant taxonomic studies with suggestions on their efficacy and modes of presentation and evaluation. This section also lists the equipment and financial resources required for gathering each type of data. References throughout the book illuminate the historical development of taxonomic terminology and philosophy while citations offer further study. More than just a reference, Plant Taxonomyis also a personal story of what it means to be a practicing taxonomist and to view these activities within a meaningful conceptual framework. 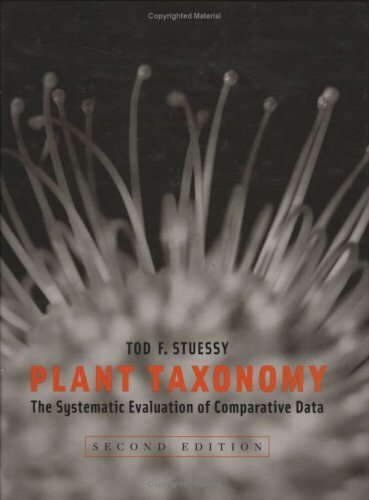 Tod F. Stuessy recalls the progression of his own work and thoughts and shares his belief that the most creative taxonomy is done by those who have a strong conceptual grasp of their own research.